​Italian giant, AC Milan have been banned by UEFA from competing in the Champions League and Europa League for the 2018-19 season after breaching Financial Fair Play rules. UEFA announced the shocking decision on Tuesday, citing that AC Milan would not be able to play in any European competition for the 2018/19 campaign despite qualifying for the Europa League. The Italian club spent more than £175million (an equivalent of €200m) on new players last year amid questions over the financial stability of the Chinese-led consortium that purchased the club from Silvio Berlusconi for £600m in April 2017. The club will have the right to appeal, but if unsuccessful they will serve the ban and would be eligible to enter again in 2019-20 if they qualify for either the Champions or Europa League. 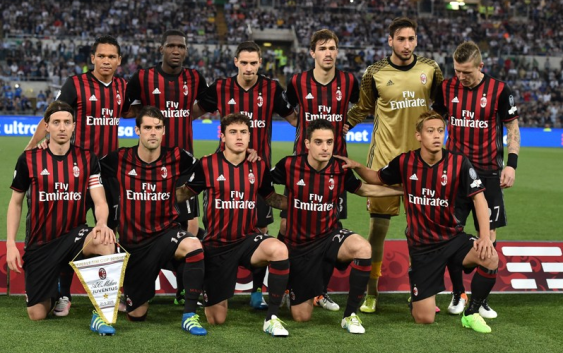 “The Adjudicatory Chamber of the Club Financial Control Body (CFCB), chaired by Jose Narciso da Cunha Rodrigues, has taken a decision in the case of the club AC Milan that had been referred to it by the CFCB Chief Investigator for the breach of the UEFA Club Licensing and Financial Fair Play Regulations, in particular the break-even requirement.